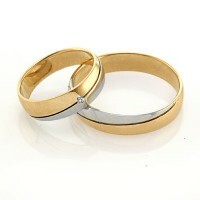 « In a romantic trip for wedding rings! 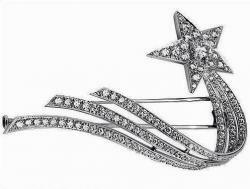 However, Gabrielle Chanel, in her first jewelry collection, was able to show the independence of the precious direction. At that time, Chanel refused to follow the old bourgeois precious rules: for example, she opposed the textbook jewelry figurative art, the most famous manifestation of which is the jewelry menagerie, or the precious bestiary. Instead of classical flowers and animals, Chanel proposed more abstract objects — comets and stars; her lineage Bijoux de Diamants, in fact, was an original manifesto of cosmism, a very seasoned, cool style. Subsequently, however, Chanel released her favorite jewelery flower, camellia, as well as her own symbolic precious animals, the turtle and the lion. Despite the floristics and the bestiary, Chanel’s most important contribution to the jewelery history is still its stars, comets — in short, its precious astronomy. 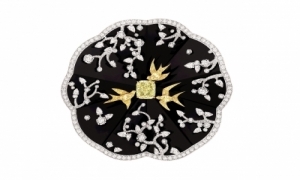 The 80th anniversary of Chanel celebrates the release of the “1932” line: jewelers of the brand presented jewelry to this collection throughout the year, but the entire collection was shown as part of the XXVI Paris Biennale of Antiquaries, and almost all of the items were already sold out. “1932” is a real museum collection, generous with decorations of various genres and forms. There are also necklaces, short and very long, symmetrical and asymmetrical. There are bracelets, rings, earrings, jewelry for the head, as well as large brooches and jewelry watches. Chanel’s designer jewelry bureau, headed by Benjamin Komar, who worked for many years at the Cartier house, set itself the task of demonstrating not only new variations of stars and comets, but also showing things of a sublime classical sense — for example, white gold rings, diamonds and blue sapphires. The production of such ceremonial classics means that Chanel already can not afford to create not designer, not iconic things, but just such jewelry, where the solo gem is considered the main thing. 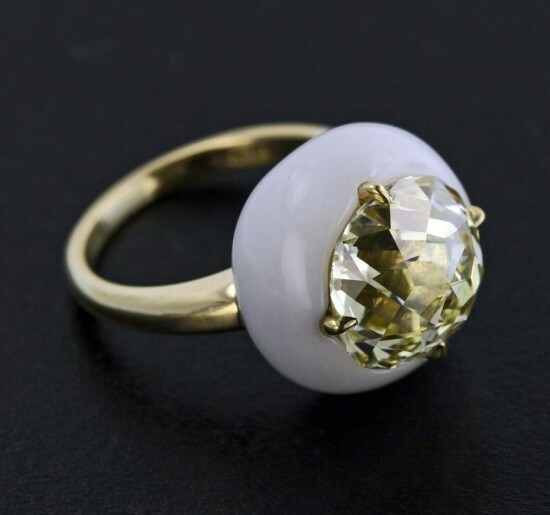 So, Chanel is very proud of the fact that now there are very rare stones in their jewelry – for example, a small green diamond set in the center of the ring. Such rare diamonds indicate that Chanel is in the rank of a real jewelry house, capable of creating not just noticeable branded items, but also collectible items in which to invest money. The line “1932” is devoid of tenderness, but not deprived of sentimentalism – and the main nostalgic ornaments here are deservedly considered objects from the memorial “Lion Series”: a necklace, brooch and bracelet, which involves small volumetric figures of lions. Miniature jewelry sculptures are made delightfully, and these things were bought among the first. 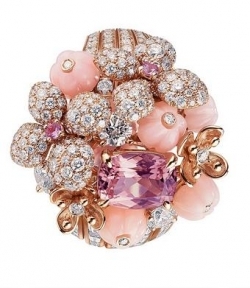 The choice of buyers underlines the paradox: the public still loves Chanel jewelry for its corporate identity and design, and it will take more time for these jewels of the fashion house to be bought precisely because of precious stones.